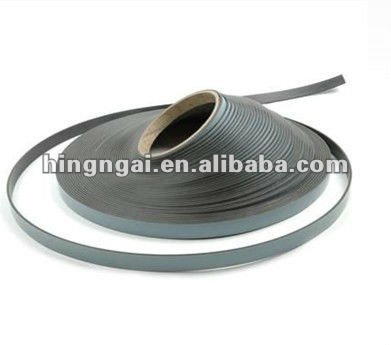 We could supply flexible Magnet Sheeting And Roll In Long Length in different sizes according to customer's requirements. We could supply flexible Magnet Sheeting And Roll In Long Length in different sizes according to customer's requirements. Rubber magnet sheets are light in special weight, soft, elastic, stable, easy to be processed, energy-saving etc. The application field ranges from electronic & electric industry, daily necessary industry, motor stators and rotators, family education, printing and decoration etc. The size, shape and magnetization pattern can be manufactured according to user's need. 4) Flexibility: our high-quality magnetic material can be coiled to a 1/2"